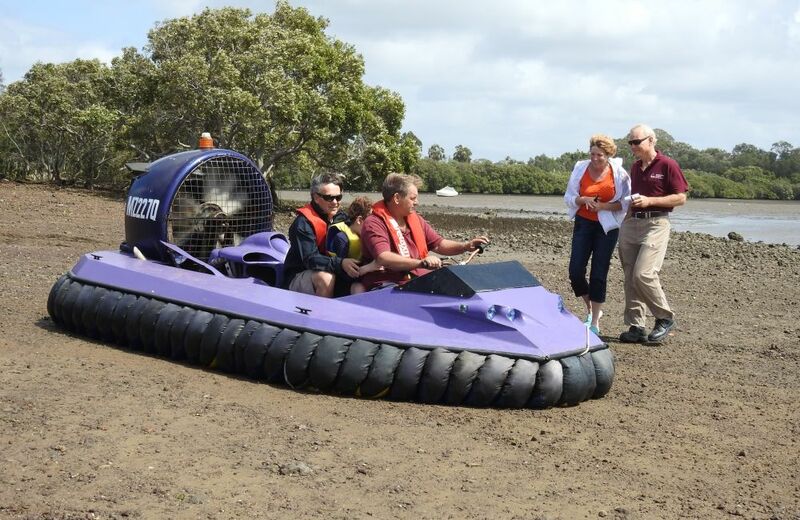 The Queensland branch of The Australian Hovercraft Federation held a planning meeting on Tuesday, 18th October 2016, at the Coopers Plains Library in Orange Grove Road. 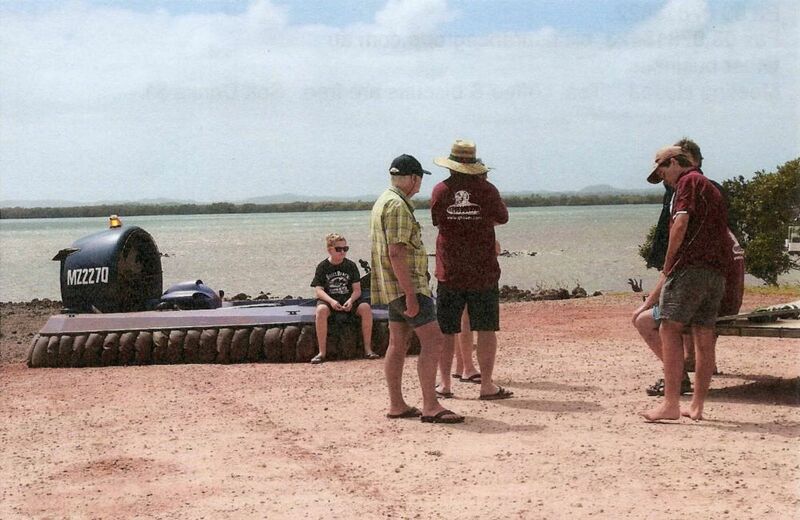 Other members attending were Angus Kerr, Kim Allen, Dieter Renisch, Arthur Stead, Dwayne Morgan, Micheal Stephenson and Les Taylor. Visitor for the evening was Kerri Audsley. 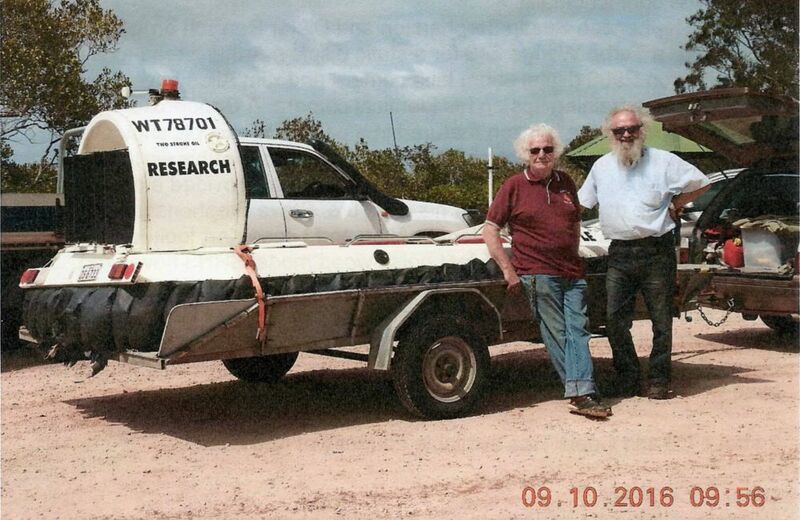 Apologies: Peter Venn and Gunter Prischl. 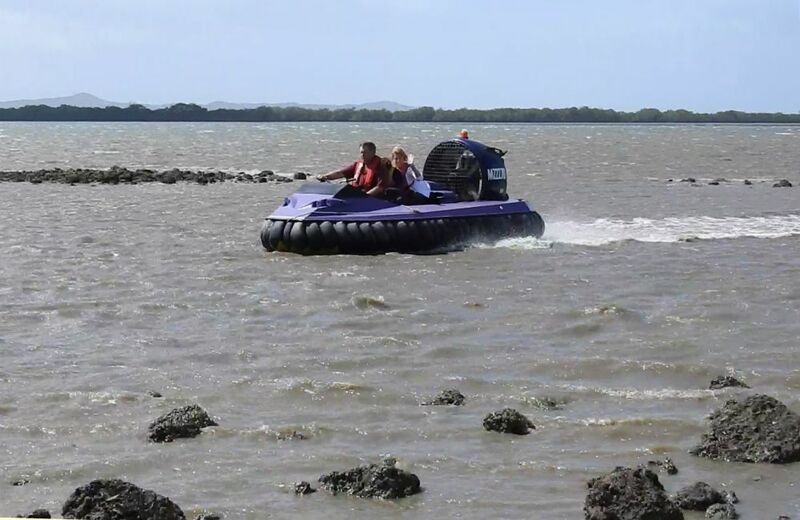 Cruise report - Point Talburpin, Redland Bay - Sunday 9th October 2016. 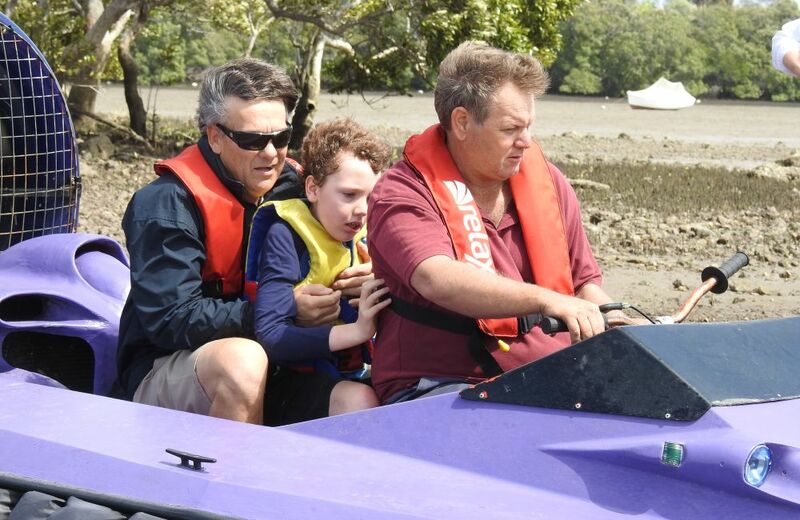 The last club cruise was held on Sunday 9th October 2016, launching from the boat ramp at Point Talburpin for a special cruise for a Coffs Harbour family. Michael Stephenson Turbo Wedge 240 - Baffle. 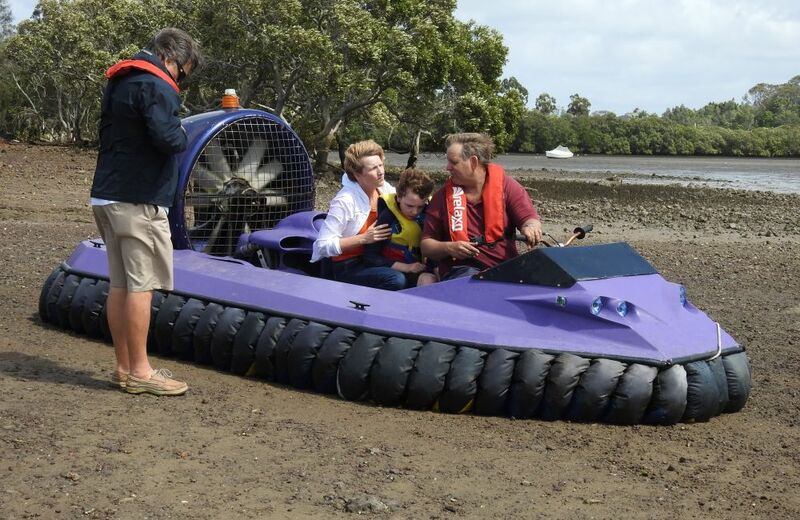 Troy White and Joanne Dixon travelled six hours from Coffs Harbour especially to take part in todays rally so that their enthusiastic young son could experience the exhilatation of just seeing or hearing a full sized hovercraft. 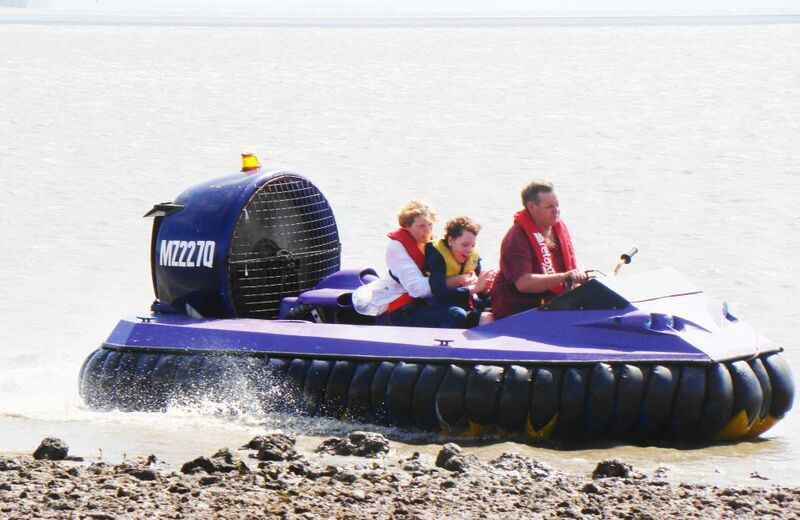 Joanne and Troy's 11 year old son Josh is wheelchair bound and is in the late stages of infantile Battens Disease, but has loved his radio controlled ACV (and anything else to do with them) for quite a while, so he is very keen to tick 'hovercraft' off his bucket-list. 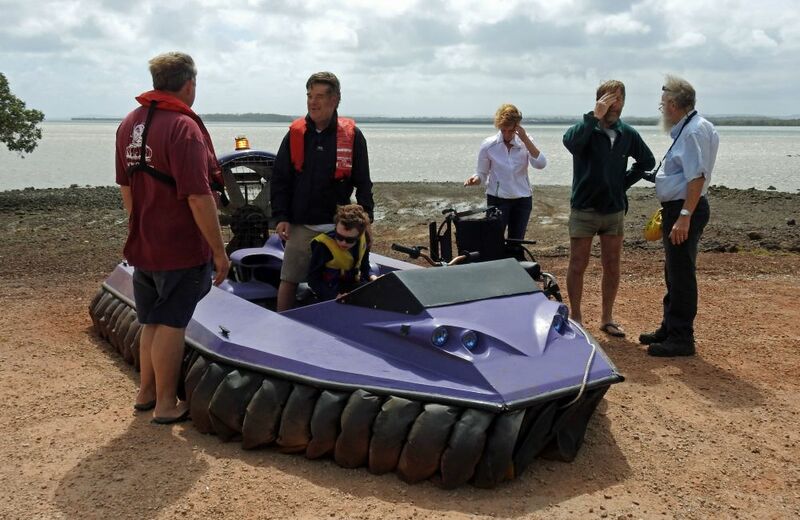 The weather was attrocious with strong southerly winds and a fair bit of chop on the bay as Steve Stephens ushered our excited wheelchair visitor to the Viper 4 Cruiser hovercraft. 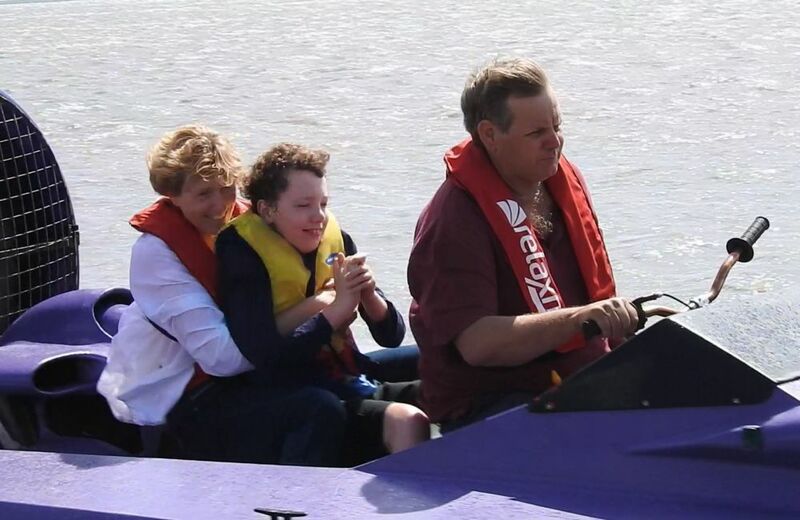 Angus braved the conditions and the rough rocky shoreline to take Josh for several rides with his parents, giving the 11 year old the thrill of his life, while the rest of us were spectators for this event. Troy purchased a club polo shirt for Josh and Ben Woodhead donated a QSH club cap. 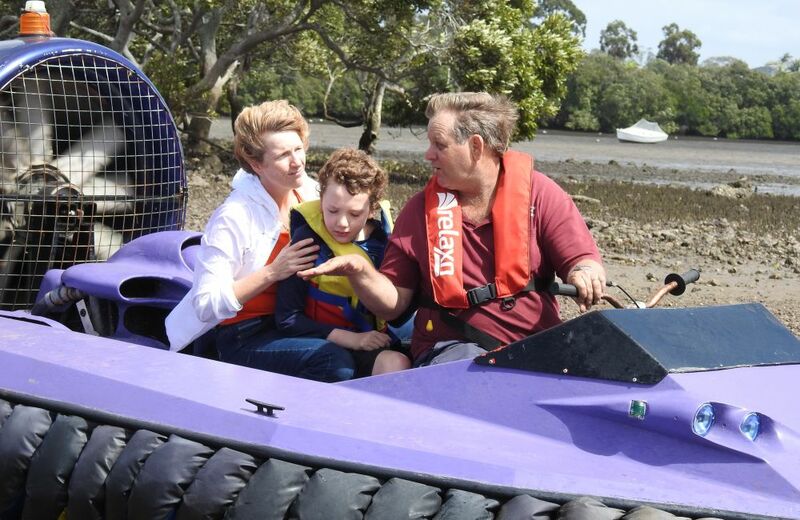 Steven Odgaard gave Joanne a Superfast diecast hovercraft (small toy) for Josh to add to his collection. Lots of photos and some video were shot by Steven Odgaard, Arthur Stead, Michael Stephenson, Gunter Prischl, and others. 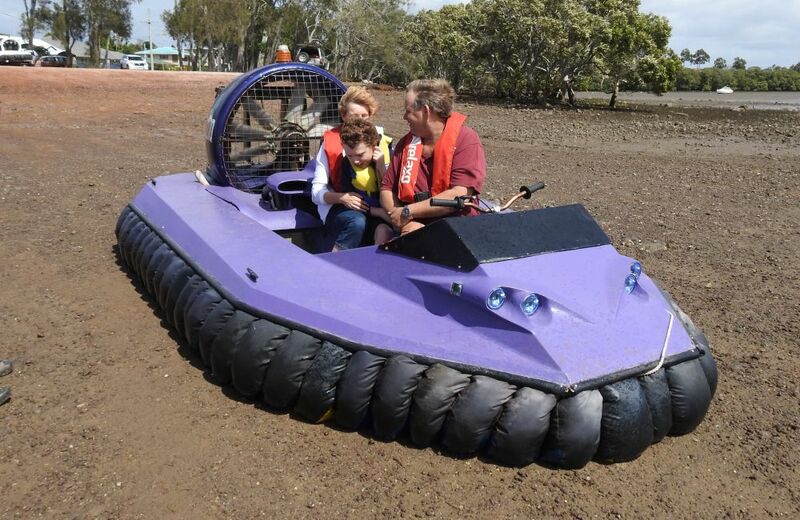 Thanks to Karl Bowman from Bargara near Bundaberg, former President of the New South Wales Sporting Hovercraft Club, for the contact details. 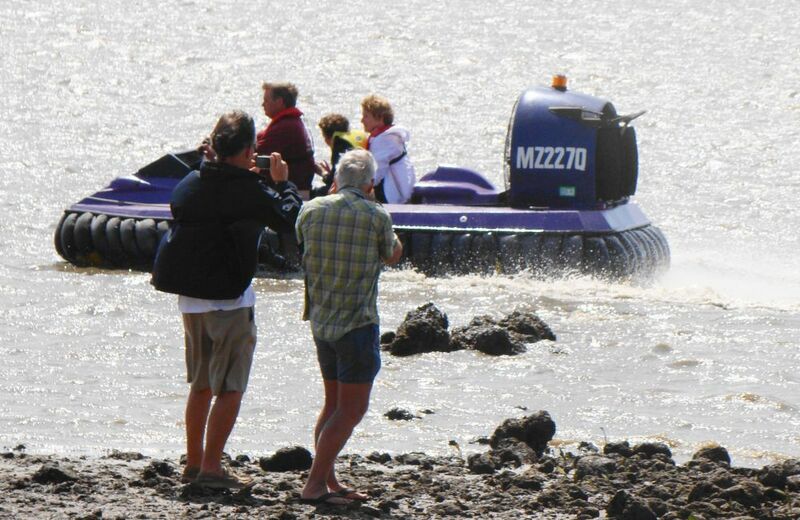 Michael Stephenson, Susan Stephenson and Dieter Renisch brought along the 'Baffle', a Turbo Wedge 240 for a static display. Arthur Stead took photos on his Nikon P900 digital zoom lens camera and Kim Allen gave Steven Odgaard some training tips on his identical camera. 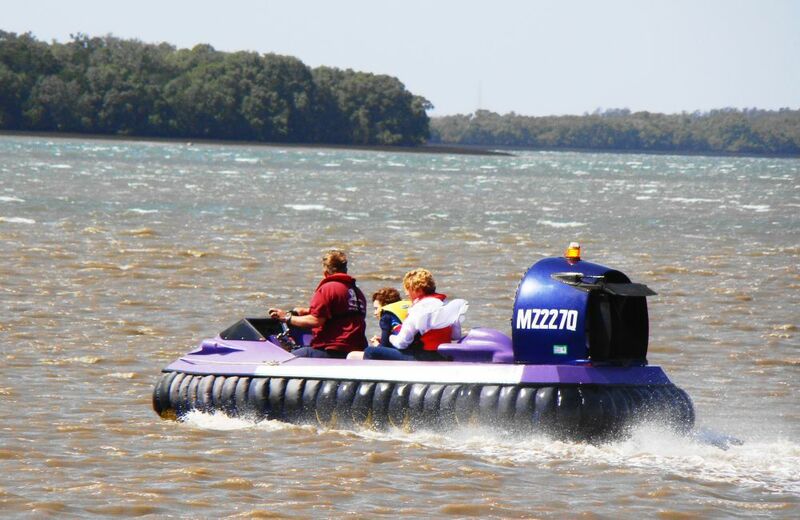 A Stradbroke vehicular ferry operating on the horizon featured in a perfect telescopic shot. Gunter Prischl also took some great photos. 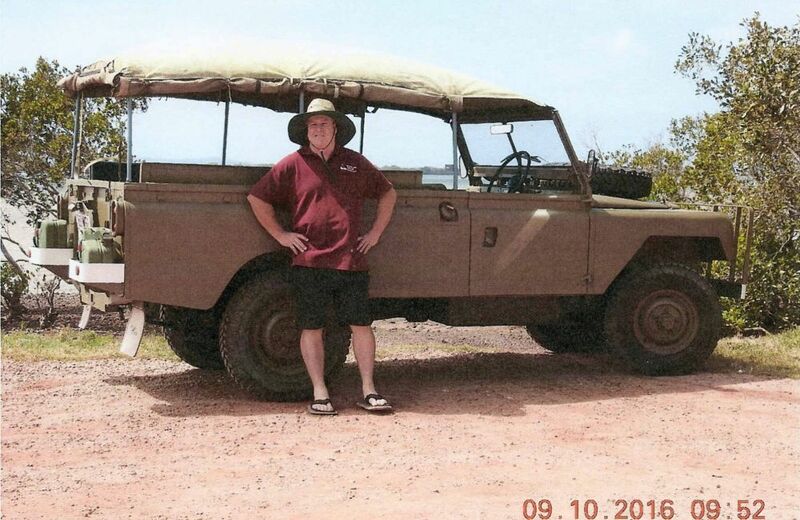 Dale Baxter honked his vintage car horn in a fully restored 1962 Land Rover. 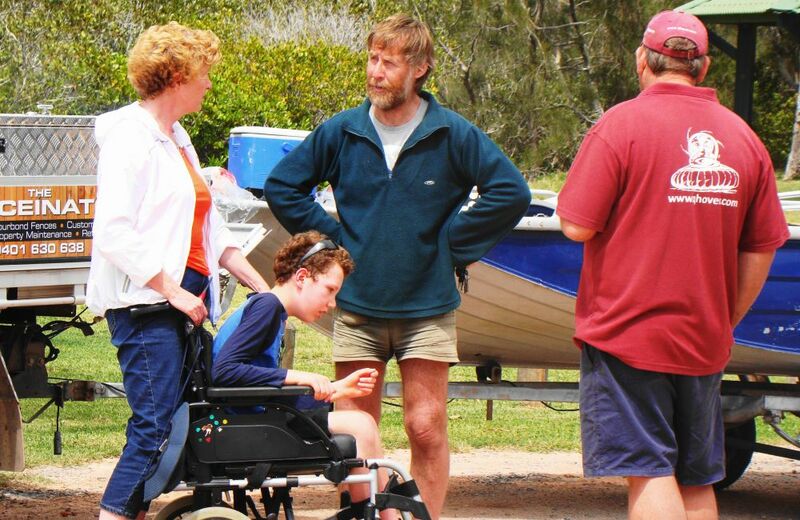 Ben Woodhead provided a barbeque sausage sizzle out of the back of his work ute. 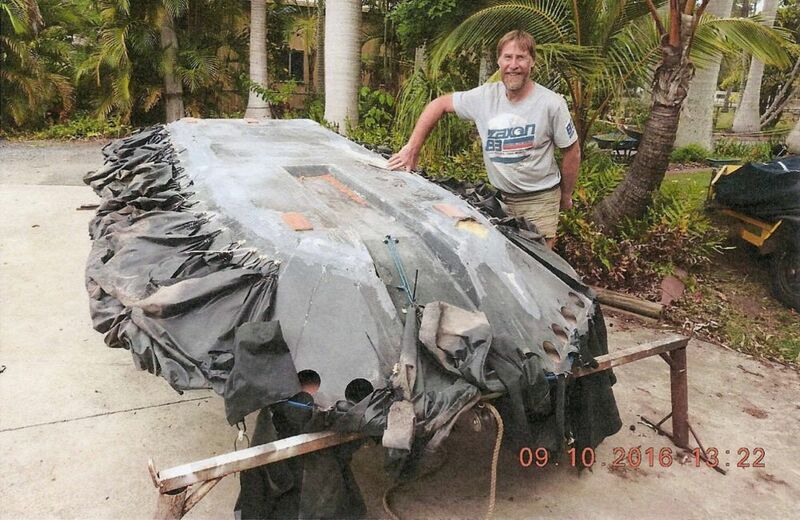 Steven Odgaard displayed a 3 foot balsawood SRN5 hovercraft. We all packed up and left around 11:00am with smiles on our dials. 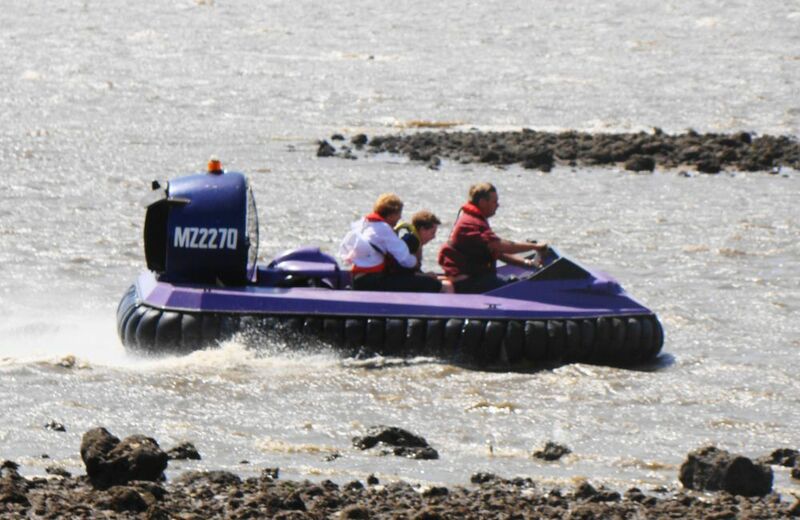 A visit to Muriel Street saw the battle scars of an upturned 'No Wheel Drive' hovercraft hull which Rob Wakefield is repairing with fibreglass and ultra dense polyethylene skid pads for Steve Stephens at the Peter Venn hoverbase workshop. 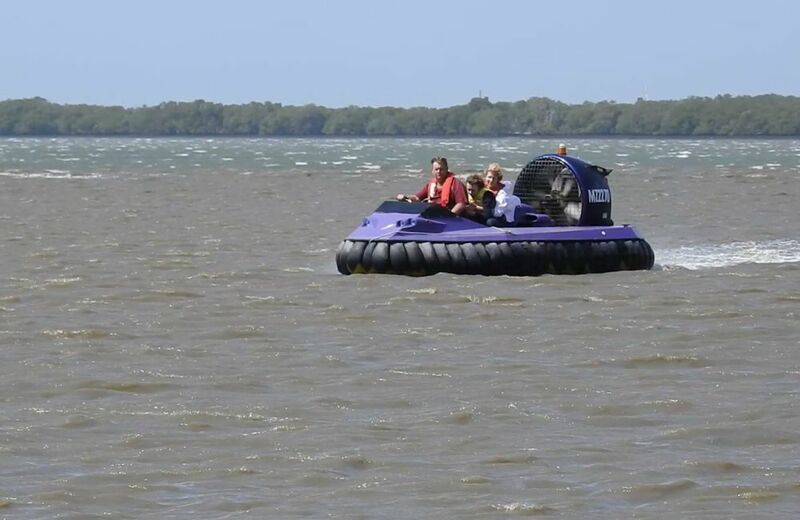 The next Australian National Rally will be held from Friday 7th to Sunday 9th July 2017 at Lake Coolmunda near Inglewood in southeast Queensland. 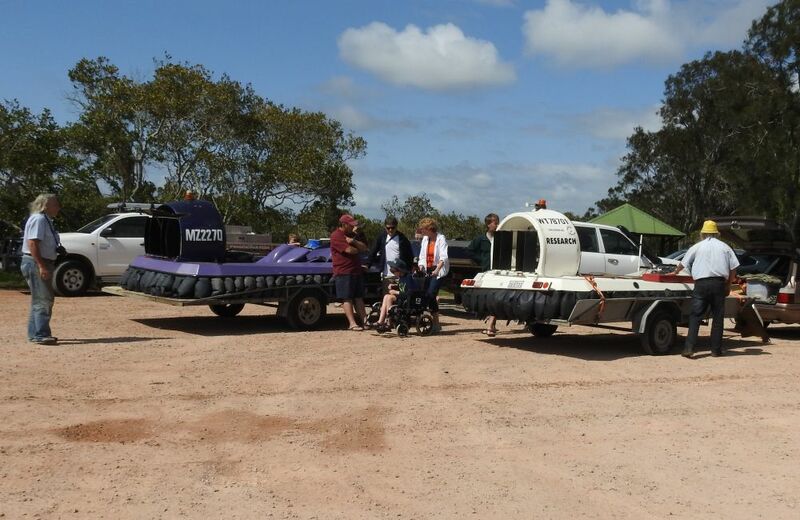 This rally is being organised by the Queensland Sporting Hovercraft Club on behalf of the Australian Hovercraft Federation. 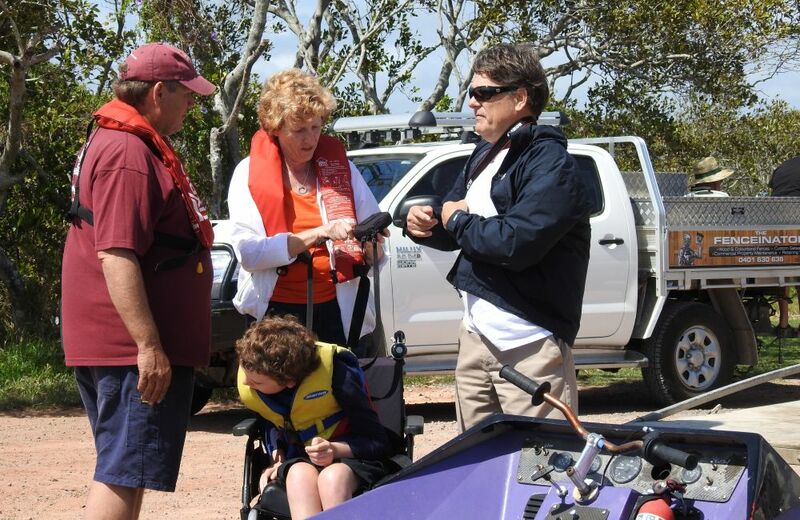 The next club cruise will be held on Sunday 13th November 2016 at Muriel St, Redland Bay. The next club meeting will be held on Tuesday 15th November 2016 at 7:30pm.